Movie marketing is certainly not just limited to the trailer, we have seen many movies in history that aced their marketing game which provoked curiosity, resulting in high sales. While “The Blair Witch Project” team created missing posters of its cast, Paranormal Activity decided to release the movie only in places that demanded the release of the movie on its website. One such movie marketing was undertaken by the Deadpool franchise and it granted them huge success and popularity. The franchise came up with really creative ways to market their movie for its first part which created excitement among the audience, the billboard advertising used emoji’s that fits the current trend. 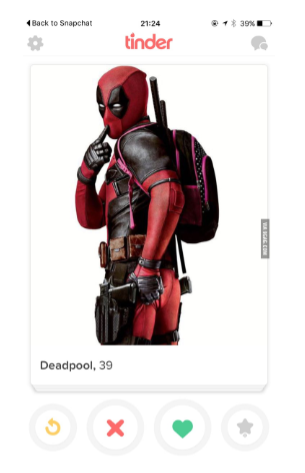 The first emoji was of a skull, the second was the famous poop and the third was the alphabet L, which when translated into actual words, it reads ‘Deadpool’. This image of the billboard went around the internet and caught a lot of attention while positioning the movie as a fun and a relatable one. 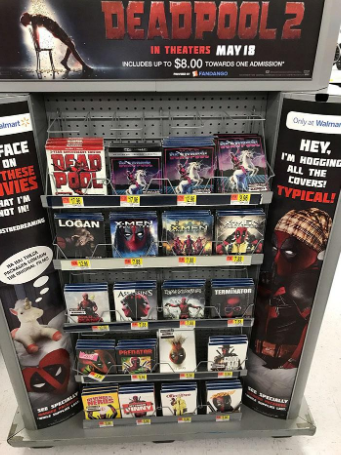 Since Wade Wilson suffers from cancer in the movie, advertisements were made in collaborations with cancer awareness organizations for testicular and breast cancer with the #touchyourselftonight. Even though the ad was for a serious cause, the humour was maintained right till the end. In order to keep up the level of excitement, the franchise came up with the ‘12 days of Deadpool’ campaign, the idea was to release a new Deadpool trailer on the 12th day as a Christmas gift to the fans. Every day a video clip or a poster was released, each one was funnier than the previous one. Unlike the regular talk show movie promotion, where the cast talks about how the movie was made and their experience from the making of the movie, Ryan Reynolds appeared as Deadpool as a surprise to all the fans and the show hosts. The level of sarcasm and Hollywood references brought new viewers for the shows and was highly shared among the fans. Social media is just the right tool to reach a large group of audience, apart from regular promotions in mediums like Facebook, Twitter and Instagram, Deadpool created a profile for himself on the most popular dating app, Tinder. Since the movie was scheduled right before Valentine’s Day, it created a buzz and had loads of appreciation from the younger audience for their fabulous creative effort. The first part was a massive hit and it became the highest grossing adult-rated movie in history. The sequel of this fantastic movie was set to release along with the much-awaited film, “Avengers: Infinity War”. So, the marketing team double downed their effort just to not be buried by Infinity War. The trailer of the sequel itself was unimaginably creative and humorous. The first half of the trailer shows the villain with uncompleted visual effects and the second half of the trailer was corrected after Deadpool spots the error. In the meantime, Deadpool entertains the viewers with the miniature toys of Cable and Deadpool. The franchise also decided to create an original song for the film which was created to maintain the satire of similar emotional songs in other films. In the music video of “Ashes”, Dion gives a beautiful performance while Deadpool, as usual, turned the sad song into a funny one. In the end, Dion makes Deadpool angry by calling him Spiderman which gave a strong finish to the video. Secondly, they went ahead to get the football fans. In one video, Deadpool apologises to David Beckham for making fun of his voice in the movie and in the other video the Manchester United team is given Deadpool jersey and Deadpool accessories. Both the videos aimed to take advantage of the huge fan following the game has all over the world. With all this said, the marketing team did something that no one has ever done or even imagined and it took everyone by surprise. They photobombed the DVD covers of all the movies which gained positive comments from the movie lovers and it also increased the sale of those DVDs because the fans saw it as a limited edition product.